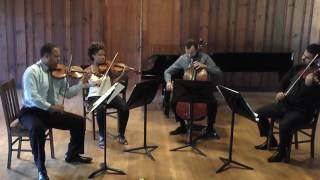 Live concert as Quartet in Residence at Royal College of Music, London Dec 4th 2017. The renowned Harlem Quartet steps outside the concert hall to lead a master class at Albuquerque’s Highland High School. Harlem Quartet and Cuban pianist-composer Aldo López-Gavilán again join forces to perform in the US and Canada for the 2016-17 season! 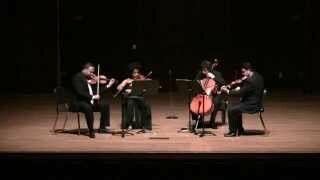 Harlem Quartet: Mendelssohn op 80 and Encore "Take the A train"
April 7, 2014 at 7:30 p.m. in Riceland Hall of Fowler Center at Arkansas State in Jonesboro, AR. 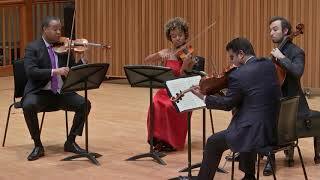 Filmed by Dr. Tim Crist, chair of the Lecture-Concert Committee. 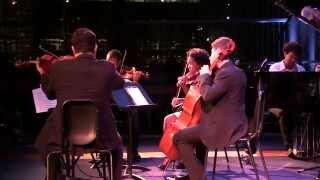 Harlem Quartet plays Chick Corea's String Quartet "Adventures of Hippocrates"
This string quartet concerto, commissioned by Harlem Quartet and premiered in June 2012 with the Chicago Sinfonietta, Mei-Ann Chen conducting, was arranged by Randall Fleischer in conjuction with The Leonard Bernstein Office. 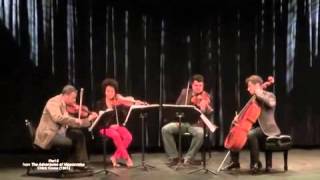 Starring the Harlem Quartet, this video features footage compiled from the 4 continents they toured in 2014. Locations include several cities in Japan, Ethiopia, UK, Puerto Rico and the continental US. Introduced by Chick Corea, the video opens with HQ on stage for the final concert of their "Hot House" Tour in Osaka, Japan. The soundtrack is the "Tango" from Chick Corea's String Quartet titled The Adventures of Hippocrates which is the first track on HQ's latest album, "Visionary." 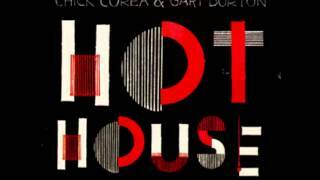 Chick Corea (http://chickcorea.com) and Gary Burton perform material from their new album Hot House, exploring their unique takes on "standards" -- by composers from Kurt Weill and Antonio Carlos Jobim to Thelonious Monk and Lennon & McCartney. 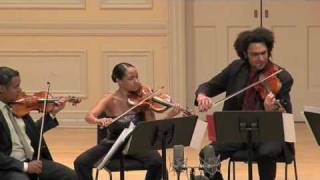 The multiple Grammy-winning duo also adds the Harlem String Quartet, expanding their legendary chamber-jazz repertoire on Chick's composition "Mozart Goes Dancing" and classic Chick & Gary tunes. 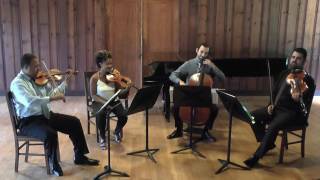 Harlem Quartet and Play On, Philly! The wonderful team at WHYY's Articulate joined us at POP Academy when the Harlem Quartet came to practice for Evening of Harmony with our students. Play On, Philly! cultivates emotional, cognitive, and behavioral skills necessary for life by providing high quality music education to underserved children in Philadelphia. "You know, let's face it. 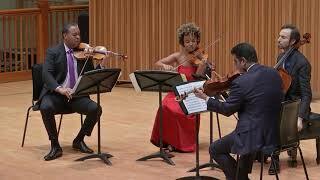 When you think of classical music, it's not really an African American face that comes to mind," says Melissa White, a violinist and founding member of the Harlem Quartet. But in a genre historically dominated by Europeans, the quartet is doing its part to change all that. Founded by the Sphinx Organization in 2008, the Grammy-winning group was created to advance diversity in classical music, while engaging new audiences with a varied repertoire that includes works by minority composers. Combined, African Americans and Latinos account for less than 4 percent of musicians in American symphonies. "Diversity in classical music is a very positive ideal, because for so many years, in this country, that ideal was a homogenous thought. By bringing in different cultural values and viewpoints, they are bringing an American ideal of melting pot to the stage," says Moses Bernard Philips, a professor of ethnomusicology at CUNY's Medgar Evers College. After a few personnel changes over the years, the quartet became even more diverse. 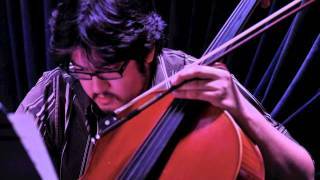 Matthew Zelkind, a Jewish cellist from Salt Lake City, and Jaime Amador, a viola player from San Juan, Puerto Rico, joined the group in 2012. Despite the quartet's talent, it hasn't always been received well. "We had important mentors that would tell us, 'I don't think you will work in the European market.' We knew that meant, not only [was he] talking about the quality of our playing, but just the image," explains Ilmar Gavilan, a Cuban violinist and founding member. 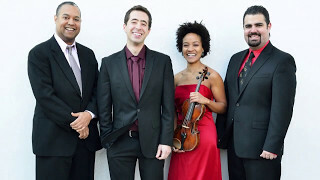 To accommodate these audiences, the Harlem Quartet has started performances with jazz repertoire and sneaked in classical pieces to show that it can perform a variety of music. 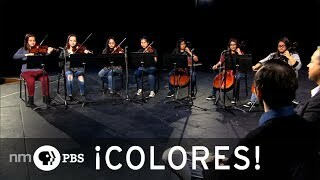 "The Harlem Quartet projects a phenotype that when people see what is happening or when they see who is performing, they begin to change their attitude about what that group is and what they're capable of doing," says Philips.